Thousands in need have found assistance again this year through the multifaceted social and charitable work of the Metropolis of Piraeus of the Greek Orthodox Church, reports Romfea. 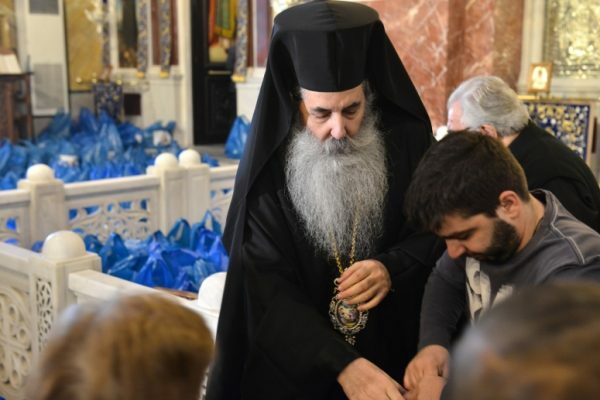 His Eminence Metropolitan Seraphim of Piraeus distributed 7,500 “parcels of love,” as they call them, to those struggling to cope with their daily difficulties, with food and other essentials for their Christmas tables. The Metropolis also distributed 7,000 “parcels of love” on Holy Tuesday of this year. The Huși Diocese of the Romanian Orthodox Church also recently held an even in which it distributed food and gifts to more than 1,000 children from its rural parishes.